Visiting Brooklyn and looking for a place to swim? Nice choice! Don't forget to tell us how did it go. 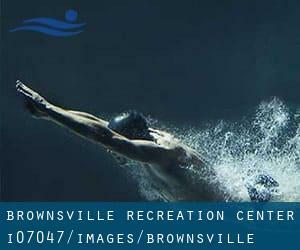 Introducing now Brownsville Recreation Center swimming pool, a fantastic swimming pool sent by a swimmer like you few days ago. Have you visit this pool? Do you work here? Please, get in touch with us if you have facts that you feel is gonna be useful and remember from now on you can actually now promote every pool just by sharing this page with your close friends or adding comments in the Facebook boxes below. Come on and help this pool to be the first in Brooklyn! Among all of the activities provided by the center, if you are keen on swimming you will appreciate 25 yards x 30 feet, 8 feet depth, Indoors. Just in case you need to contact this Swimming Pool before dropping by, we only know the phone number. Write down the GPS coordinates we've on our file for this Pool, so you can enter them into your GPS to help you locate the Aquatic Center easily. At Linden and Mother Gaston Blvds. If you believe that any on the details is incorrect, please contact us. Aid us be better day-by-day. Updated on 2019 333 Adams Street , Downtown , Brooklyn , NY , USA (Postal Code: 11201). Swimmers like you reported 25 yards, 2 lanes, Indoors. Unfortunately we do not have the email address of this Swimming Pool, but we can give you the phone number. 570 Jamaica Ave. , Cypress Hills , Brooklyn , NY , USA (Postal Code: 11208). This sports center provides 20 yards x 20 feet, 4 lanes, Indoors. For this Swimming Pool, only phone number is number here. 3300 Coney Island Ave , Brighton Beach , Brooklyn , NY , USA (Postal Code: 11235). Among all the activities offered by the center, if you are interested in swimming you will delight in 25 yards, 4 lanes, Indoors. Just in case you need to contact this Swimming Pool before dropping by, we only know the phone number. 3495 Nostrand Avenue , Sheepshead Bay , Brooklyn , NY , USA (Postal Code: 11229). Among all of the activities offered by the center, if you are interested in swimming you will enjoy 25 yards, 4 lanes, Indoors. If you need to contact this Swimming Pool, e-mail address and phone number are both number. 17 Eastern Pkwy. , Prospect Park , Brooklyn , NY , USA (Postal Code: 11238). Swimmers like you reported 25 yards x 25 feet, 4 lanes, Indoors. Unfortunately we do not have the email address of this Pool, but we can give you the phone number. 225 Atlantic Avenue , Brooklyn Heights , Brooklyn , NY , USA (Postal Code: 11201). This sports center gives 25 yards x 45 feet, 6 lanes, Indoors. For this Swimming Pool, only phone number is number here. 357 9th St. , Prospect Park , Brooklyn , NY , USA (Postal Code: 11215). This sports center offers 20 yards x 20 feet, 3 lanes, Indoors. For this Swimming Pool, only phone number is number here. 1540 Van Siclen Ave. , East New York , Brooklyn , NY , USA (Postal Code: 11239). This sports center offers 100 feet, 6 lanes, 4.5f depth, Indoors. For this Pool, only phone number is number here. Erasmus Hall High School , 2240 Bedford Avenue , Flatbush , Brooklyn , NY , USA (Postal Code: 11226). This sports center offers 25 yards, 4 lanes, Indoors. For this Swimming Pool, only phone number is number here. 2900 Bedford Ave. , West Quad Lower Level , Flatbush , Brooklyn , NY , USA (Postal Code: 11210). This sports center offers 25 yards, 8 lanes, Indoors. For this Swimming Pool, only phone number is number here. 1500 Paerdegat Ave. , Canarsie , Brooklyn , NY , USA (Postal Code: 11236). This sports center delivers 20 yards, Indoors. For this Pool, only phone number is number here. 1720 Sheepshead Bay Rd. #28 , Bensonhurst / Sheepshead Bay , Brooklyn , NY , USA (Postal Code: 11235). Swimmers like you reported 20 yards, Indoors. Unfortunately we do not have the email address of this Pool, but we can give you the phone number. 762 President Street , Park Slope , Brooklyn , NY , USA (Postal Code: 11217). Swimmers like you reported 25 yards, 4 lanes, Indoors. Unfortunately we do not have the e-mail address of this Swimming Pool, but we can give you the phone number. 1251 Prospect Place , Crown Heights , Brooklyn , NY , USA (Postal Code: 11213). Swimmers like you reported 25 yards x 42 feet, 9 feet depth, Indoors. Unfortunately we do not have the email address of this Swimming Pool, but we can give you the phone number. 1121 Bedford Ave. , Bedford-Stuyvesant , Brooklyn , NY , USA (Postal Code: 11216). This sports center delivers 25 yards, Indoors. Contact information for this Swimming Pool similar to phone number and e-mail address are number.